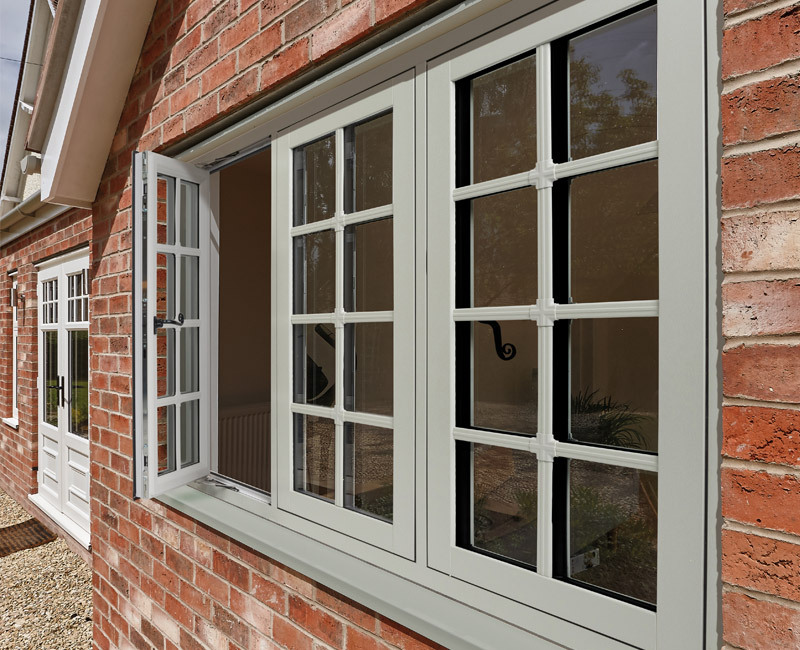 Aluminium casement windows are the slightly more aesthetically pleasing than uPVC casement windows. Aluminium will never rot or rust away and the insulation in our profiling will prevent heat transfer through frames. Available in a wide range of colours (including dual colour options) and a variety of glass designs such as leaded and internal Georgian bars, chrome borders etc. All our windows are made to measure so we can ensure we are giving you the perfect fit.